Chances are that when you hear these lines, you’ll ultimately end up thinking of pink elephants, trespassing and punching that button so hard that it falls through the floor right?! There’s something in our nature that dares us to rebel, and when a restriction is enforced upon us, it only spurs on the desire to break the rules! The whole theatre plunged in to darkness as, to my horror, I realised I had switched off the mains power, thus plummeting a theatre class of 30+ screaming 8-10 year olds and their teacher in to pitch black. Very dramatic indeed, I thought, as exited stage left rather briskly! After suffering a rather cramped & delayed train journey from Leeds to Manchester, during which I felt as uncomfortable as Donald Trump in a sombrero, I’d arrived. After a short hop from Manchester Piccadilly, I found myself stood agasp in front of ‘The Monastery’, a church converted in to a gin palace that would play host to the evenings shenanigans (‘and the award for the coolest venue goes to’…), due to stretch from 20th – 22nd August. The Press For Gin concept arose from a viral stunt video in 2016 where Brockmans created the world’s first Press For Gin buttons. And promising ‘a night like no other’ (to match the aspirations of their unique gin), ‘Press for Gin’ was hitting Manchester for the second time, following six sell-out events across London, Glasgow, and Edinburgh. When ‘pressed’ to describe their events, the teams effervescent response is as straightforward as it is excruciatingly exciting! ; ‘It’s simple. Press a button, gin appears.’ Top bartenders stand primed to cause a stir as they shake up a whole host of bespoke cocktails on demand. Exclusive gin-infused canapés (not quite what I mean when I say ‘I cook with gin’…) will be served to line stomachs, whilst jaw dropping performances dazzle guests. And if that’s not enough (more?!! ), there are a ton of ‘gincredible’ prizes to be won! Well, like a Donald Trump hotel, this had my name written all over it! As I strutted in to the venue, with a nervous sense of excitement and anticipation, we were marched along a long crimson corridor towards our final destination for the evening, where I for one was hoping I’d perhaps get to see some water turned in to gin. Amen! always said that’s all you can ever do…). As I’m introduced to my table, I’m greeted by the smiling faces of Phillipa Scott and Mike Whatmough, Brockmans Gin Ambassador, who make it their mission to take me under their gin soaked wings for the evening and show me a good time; Brockmans style! The evenings is kicked off as I like to start pretty much all of my dinner parties at home; a trapeze artist, precariously swinging from the ceiling above our heads. The baying crowd stare in amazement, playing witness to acrobatics that I’ve only managed to perfect once for myself, in a trademark move I like to call ‘falling down the stairs’. This was ‘Cirque de Soleil’ with ice & a slice, and genuinely required the lifting of ones jaw from the floor, as G&T’s were served from a height. Simply stunning! 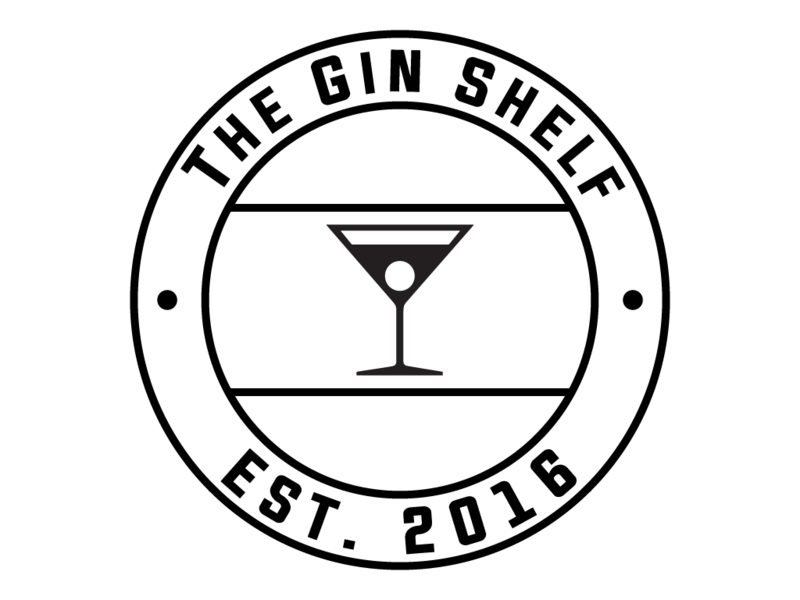 As I turned to my left, my eyes were almost magnetically drawn towards the wooden plinth that was sitting at shoulder height, teasingly inviting any willing participant to ‘press for gin’. I didn’t need to be asked twice… (or once as turned out to be the case!). Click. In a flash, quicker than you could say ‘anybody fancy a gin?? !’ a suave waiter arrives at the table, leans in close, and asks ‘anybody fancy a gin??!’. Guests were to be treated to four signature Brockmans Cocktails. First up, by way of formal introduction, was ‘The ‘Perfect Serve’, pairing the star of the evening alongside Fever-Tree tonic and a garnish of blueberries & pink grapefruit. Tastebuds suitability tantalised, it was time to throw a little mystic and pizazz in to the equation with the ‘Silver Lining’. Arriving in a chest, shrouded in fog, this little concoction comprises elderflower, cucumber and almond butter, kicking out a blue glow reminiscent of a posh melted retro ‘Slush Puppy’, but with twice the flavour (and double the booze)! The heatwave may have passed, but next in the prestigious line up, ‘Fall Into Summer’, will have you clinging on to the dregs of those rays as you experience nothing short of sunshine in a glass! The apple potion, served in a little glass bottle that echos tones of Gulliver’s Travels & Alice in Wonderland’s ‘drink me’, worked perfectly against the dark fruit sensations of the gin. But my pick of the bunch was ‘And All Things Nice…’, a Martini style orange slap in the face that more than lived up to its catchy title. Absolutely gorgeous. With the gin and good times now flowing in equal measure, and our tables ‘press for gin’ button in need of a little respite, it was time for Tony Bowen (AKA ‘The Human Jukebox’) to take to the stage. Guests are challenged to try and stump our musical maestro with their song requests. But armed solely with an iPad, guitar and microphone, Tony begins to serenade and amaze in equal measure as he thrills the audience by expertly strumming his was through a range of random call outs, never once phased. And whilst I toyed with the idea of suggesting the Slip Knot classic ‘Wait and Bleed’, I opted for the more family friendly, and geographically apt ‘Half the World Away’ by Oasis. Let shivers down spines ensue. That said, Mike didn’t quite manage to get ‘Barbie Girl’ on to the set list (quite right too!). If they say that music is the food of love, then food is definitely the food of food. And I’ll happily drink to that! The atmosphere of the evening was designed to complement the character of the Brockmans brand; risqué and dangerous on the one hand, whilst elegant and sophisticated on the other. This was perfectly demonstrated by the arrival of the beautifully presented gastronomic delicacies, where food & art met on the plate in perfect harmony. Each course cleverly incorporated Brockmans gin in to the ingredients, whether that be gin infused jellies, gin soaked raspberries, gin cured salmon or a delicious gin jus. Whilst each dish was delivered with michelin-esq precision, delightfully attacking the senses, my ‘catch of the day’ has to go to the ‘Trio of Seafood’, pairing the kings of the sea with royalty of the gin world. A match made in heaven. Every guest is treated to a gift bag to take home, containing a branded Brockmans Coppa Glass, gin miniature and ice ball maker. There’s even a ‘Press for Gin’ cookie to help soak up all that gin (note to reader: pressing the button sadly does not result is further gin arriving in your living room!). And for good measure, Mike reaches in to the ‘Brock-mobile’ and presents me with my very own bottle of Brockman’s, along side some barman tools, to help relive some of the cocktails served on the night. What a lovely chap! And with a hearty handshake, and beaming smile, I turned in to the rapidly darkening Manchester evening. And as I reflected on what a superb event I had witnessed, pulled off by a fantastic team of passionate g-inthusiasts, that ‘smile on my face’ I had been hoping for was firmly in place. When it comes to Brockmans it was clear to me that like Donald Trump and Kim Jong Un, this was turning in to a beautiful friendship. With thanks to my friends at Brockmans for having me along for the evening as a special guest, and for all of my gin themed goodies! One more ‘Press for Gin’ event will take place later this year in London. I can guarantee you that this is not one to be missed, so keep you eyes peeled for tickets!